Once you click on Responses, you are now in the Scout sub section of SWRemote. 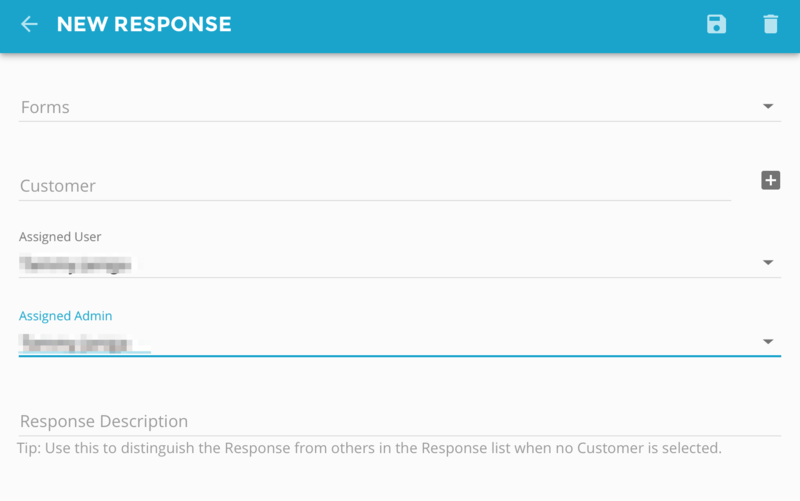 From here, you can now view already filled out responses or this customer. To start a new form, simply press the big blue button in the lower right hand corner. From here, Scout will launch, if it is not already open. It will fill in the Customer as well as the Assigned User to yourself. From here you will need to select the Form you wish to fill out from the Form dropdown. You must also tap on the Assign to admin upon completion dropdown as well. And finally add in a simple Response Description. Once the above steps have been completed, go ahead and press the Save button in the upper right hand corner. How do I fill out a form?